Think Healthcare. Think D Y Patil. Combining the best specialists and equipment to provide you nothing short of the best in healthcare. Our team includes experienced doctors, physician assistants, nurses, social workers and chaplains. This multidisciplinary team assists patients and families with the many issues they may face during long illness, including physical symptoms, stress, advanced care planning and spiritual concerns. I had met with a severe accident where the tire of a bus ran over my toes, crushing them. A part of the sole too got ripped off the foot. I was admitted to D Y Patil Hospital, Navi Mumbai where I underwent surgical procedures. My main concerns were to reach full functionality of my foot, which I have. The other was that I didn't want to lose my toes, but unfortunately, I lost 3 of my toes to gangrene. But by the surgeries, I've gained movement and will be able to walk and run as before. I am grateful to the D Y Patil Hospital Team for their kindness and consideration towards me during my stay here. All the Doctors spoke to me encouragingly, installing a lot of confidence in me. My stay at D Y Patil Hospital, Navi Mumbai was a wonderful experience. The Doctors, Nursing team, House Keepers, Care takers, were easily reachable and were giving care rather then just performing duties. This is highly appreciated. Had to rush my brother to the hospital last night post 2 am as he was suffering from shivers, high fever and stomach infection and dehydration. Must say D Y Patil Hospital Emergency team’s duty were excellent and caring. The service of the nursing team was very good. They were very kind and loving with the patients. At any time when we call they rendered service for us. Please render the same service to everyone and continue it. Best wishes. We appreciate the round the clock care given by all neonatal staff. Emergency Medicine Department in D Y Patil Hospital, Navi Mumbai isQuick and easy to get in. Clean and quiet. I have been diagnosed with diabetes since 2015. Prior to approaching D Y Patil Hospital, my levels were not in control. However, after consulting the doctors of D Y Patil Hospital, the position is much better. I wish to thank the team of D Y Patil Hospital for the excellent treatment received. This is to thank you and the entire team at D Y Patil Hospital for the care taken towards my mother during her stay last week. She is now back home. I must also bring to your notice that your hospital has an outstanding nursing team in the ICU. Even in the crisis, the team kept my mother smiling. Do convey my personal gratitude to all of them and to Nurse Anu in particular at the ICU. Very good hospital and staff. Please maintain the same in future. Very much I am impressed at the entrance. Reception & other staff gave a very good welcome. At the time of giving sample- ‘the staff are outstanding’. ‘diagnostic lab at D Y Patil Hospital, Navi Mumbai’ is very clean & arrangements are excellent. I am very much thankful to all the staff and doctors. Keep it up in future also. I just want to say the service at D Y Patil Hospital Emergency Medicine Department is very fast and the staff is amazing! Thanks very much and so glad to have this service in our community! Very good service. Nurses are very friendly. Doctor’s suggestions are very good. Very nice hospital and staff had great service. I was admitted at D Y Patil Hospital, Navi Mumbai. From day one I have been taken good care of by the Nurses. I felt like I was treated by my own family. He even noticed the small red spots on my back and reported to the nurse. It was very nice to see so much compassion. Hats off to all of you. I was very much tensed about my knee ACL surgery as it was my first most surgery. The doctors made it so easy for me. While consultations also they were very descriptive. From the time I arrived by ambulance to the time I left, the care and attention I received from the doctors, was excellent. Let me say, due to the excellent care that the ICU/CCU staff provided, my nightmare turned into a promising dream. It is the initiative in education along with progress in healthcare that will bring about transformation in the country today. 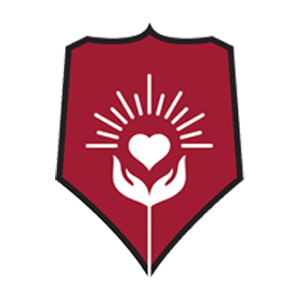 Over the years, the D. Y. Patil Group, with its commitment and dedication, has earned the reputation of being a provider of quality education in areas of professional significance. © 2018 D Y Patil Hospital. All Rights Reserved.